South Carolina Richland County Cayce Cayce is located in the center of the state, along the Congaree River in Lexington County. Cayce is only five miles southwest of downtown Columbia. 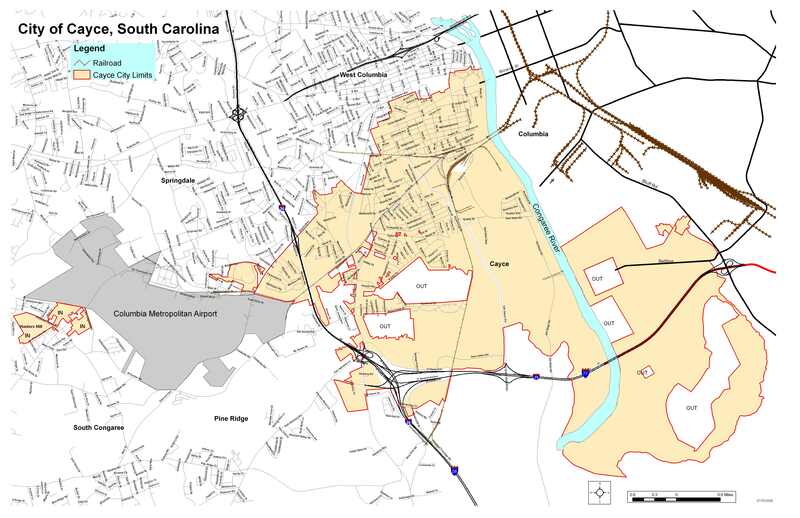 Here is a map of the Columbia area. During the Revolutionary War, the trading post in this area was seized by the British and converted into a fort. In 1817 the building was purchased by the Cayce family and used as a private residence for nearly 100 years. In the early 1900s "Uncle Billy" Cayce opened a general store and locals referred to the area as Cayce Crossing. When the town filed for incorporation in 1914, the name was selected to honor the Cayce family.